Thank you so very much for all you have done for the children at the missions of the Religious Teachers Filippini. Your countless hours working for the orphans, the hundreds of miles you have run, biked, climbed and even baked will not go unrewarded. Your generosity in helping to feed, clothe, house and educate these children has truly made a difference in their lives. May you and your families be blessed in a most special way throughout this coming New Year. Be assured of the daily prayers and sacrifices of the Sisters throughout the world. 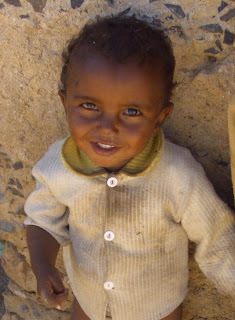 We look forward to doing even more for these children in 2009! Thanks so much for all you do to help these innocent children! Lisa Smith Batchen introduced me to you this past year. I'm looking forward to raising money for your continued support of these AIDS Orphans throughout 2009! It's such a small contribution compared to all that you do! I'm so happy to help support you this year!